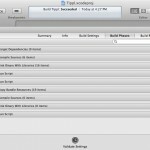 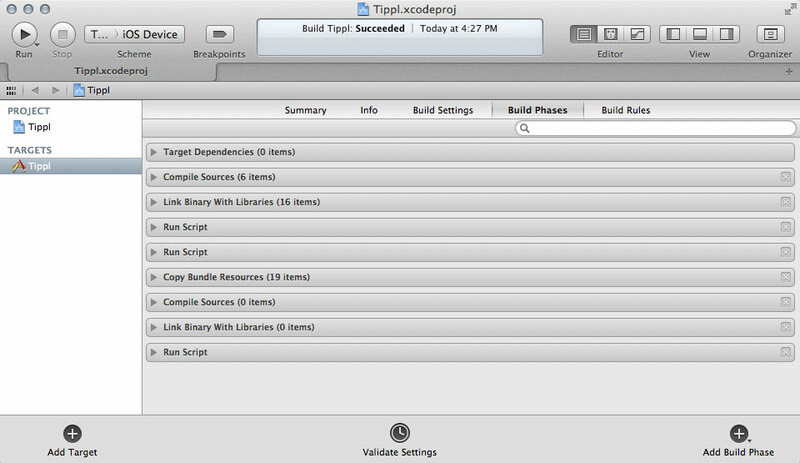 Auto-increment Build & Version Numbers in xCode | Hello Sekati. 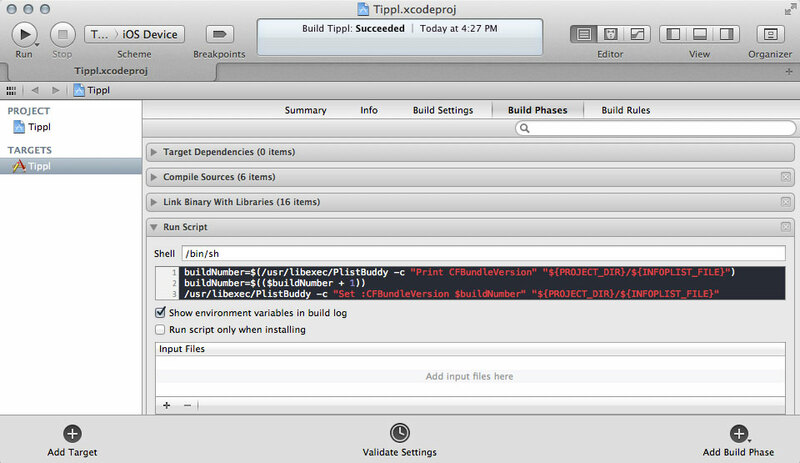 While doing some rapid prototyping in xCode (>=4.2) & deploying demo builds to my beta team via TestFlight; I wanted to automate the Build Number each time I built & the Version Number each time I archived a build for a TestFlight AdHoc deployment. 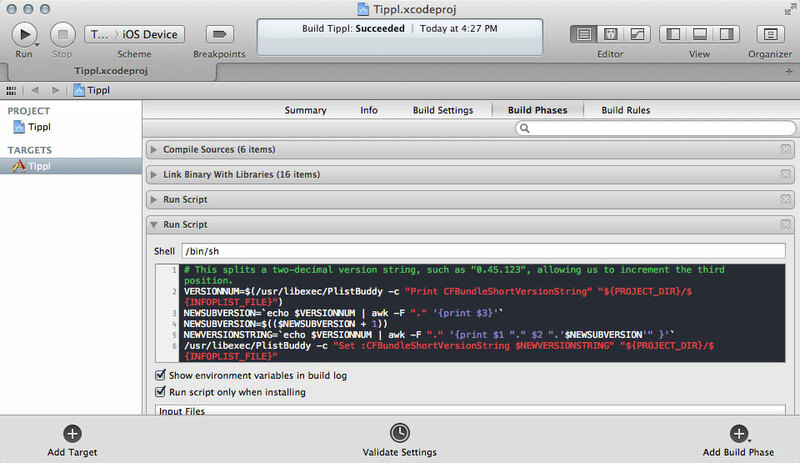 My solution was adding two Build Phase Scripts to my primary Target – code & instructions below.